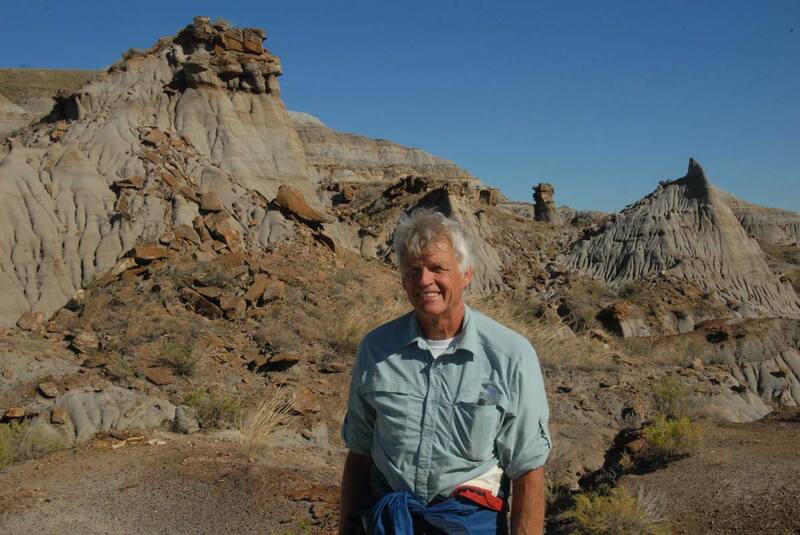 Meet Dr. Philip Currie, a paleontologist who focuses on carnivorous dinosaurs, the origin of birds, and growth and variation in all dinosaurs. Find out more about him and his research in this Q & A. Why is paleontology so important today? Many reasons. It helps establish a framework over time and history, so we can better understand what is happening now (extinctions, climate and environmental changes, relationships and interactions of living animals and plants, etc.). It's useful to play on people's interest in dinosaurs to teach them biological and geological concepts. There is also a commercial value for the discipline; museums, tourism, movies, comics, etc. are a multi-billion dollar industries built on dinosaurs. What made you want to become a paleontologist? One of the truly satisfying aspects of being a paleontologist is looking for clues to help unravel the mysteries of where we came from; each new discovery provides another piece to this gigantic puzzle that we are trying to put together. I wanted to be part of the team since I was 11 years old and read "All about Dinosaurs" by Roy Chapman Andrews. I wanted to become a paleontologist for many other reasons as well. The lifestyle of a paleontologist appealed to me, dinosaurs are interesting, and there are still many mysteries to be solved about them. I like the need to be creative to develop ideas to test hypotheses and theories in science, and I enjoy working out the logistics of getting a dinosaur out of the rock. Who has influenced you most in the world of paleontology? Roy Chapman Andrews. Reading his "All about Dinosaurs" made me decide at 11 to become a paleontologist. His large multidisciplinary, multinational expeditions were a major influence on how we set up the Canada-China Dinosaur Project. His belief in public education also had a strong influence on me. How would you describe your area of expertise in a short paragraph? I like to work on problems with growth and variation in all dinosaurs, the anatomy and relationships of carnivorous dinosaurs, and the origin of birds. I have a long term goal of understanding the rich Cretaceous ecosystems of Dinosaur Park in Alberta, and the Nemegt Basin of Mongolia. I am also interested in what can be learned about dinosaurian behaviour, including annual and intercontinental migrations. What are some of the research projects you are working on right now? A baby ceratopsian dinosaur from Alberta; tyrannosaurs from Alberta, Mongolia, and Saskatchewan; biogeography and palaeoecology of the Nemegt Formation of Mongolia; a theropod braincase from China; a new theropod from Argentina; a giant theropod from Mongolia; a horned dinosaur from Edmonton; and many more. What is the most exciting and/or interesting thing that has happened to you during your career in paleontology? Take your pick...getting my job in Alberta before even finishing my thesis, finding 100 million year old bird footprints in the Peace River Canyon, being part of the discovery of the first dinosaur eggs from southern Alberta, building the Tyrrell Museum, being the first major expedition since the 1930s to go into the Gobi Desert of China, collecting dinosaurs in Antarctica, discovering the birdlike nature of Troodon, and many more. What is a typical day for you in the field? Up early to make breakfast and a brown-bag lunch, hiking out into the badlands, walk-walk-walk-walk, find something exciting and excavate it, back to camp by 5 or 6, swim in the river, help make supper, help wash up, catalogue the day's finds, do field notes, and read. What advice would you give someone interested in becoming a paleontologist? Work hard and don't give up. Take the world's first paleobiology Massive Online Open Course (MOOC) for free and for credit today. Click the image above for more information. Dig up some more information about dinosaurs and paleontology on our Dinosaur Hub.